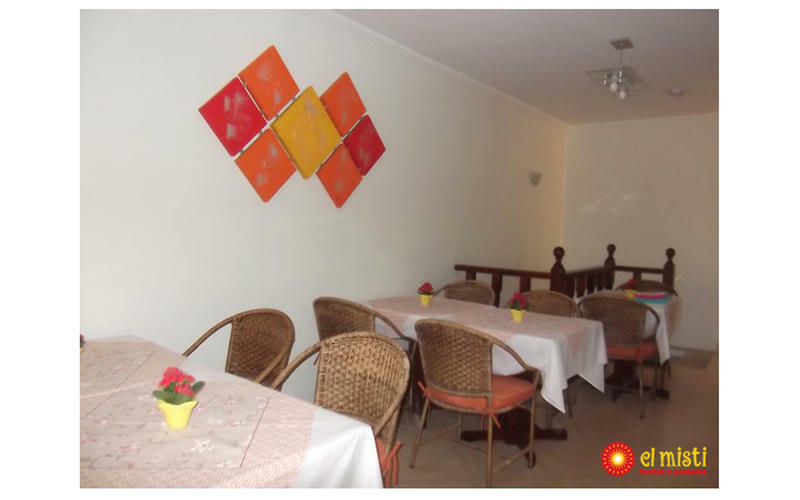 El misti Congonhas you will find a garden, barbecue facilities and a shared kitchen. Other facilities offered at the property include meeting facilities, a shared lounge and a games room. The guest house is 1.6 km from the ItaÃº Business Center, 1.8 miles from Conception Station and 2 km from the Exhibition Centre Immigrants. Guarulhos International Airport is 30 km away and the Congonhas airport only 20 minutes walking. Accommodation can be colored in shared dorms and private rooms. The hostel offers sheets, towels and free Wi-Fi. It also provides individual lockers. People under 18 years old can not book shared rooms. From Congonhas Airport: Taxi; or take any bus across the Washington Luiz Avenue toward the Conception with Metro (Villa Clara, Jabalpur, Conception, etc ...), ashore at the last point of the avenue JoÃ£o Pedro Cardoso (soon to pass a bakery), and return enter the street from the bakery. (SimÃµes Pinto Street, 50 meters from the hostel). It is only 1.5 km from the airport.